It's no lie that Tokunaga Chinami has been my favourite for a while; I adore this girl. Of all the Berryz members, she is a stand-out girl, one who demands my attention and commands my love, a girl who is so bright, she truly does shine above the rest of the group. 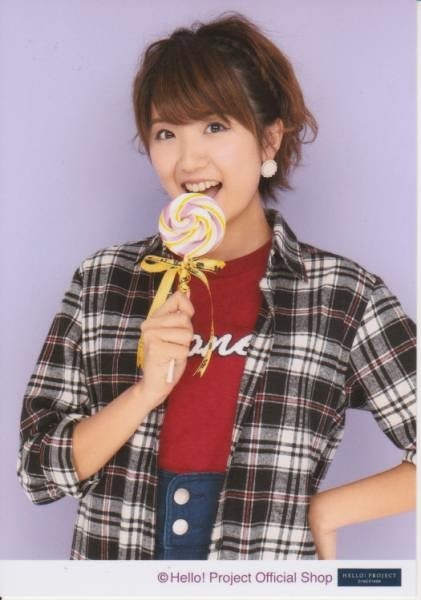 I don't know what brought me to loving her as much as I do now, though I vaguely remember legs may have been involved, but I really do adore this girl, and of all the Berryz gals, she is the one at the Top for me. She is my Happy, and of them all, she is the one I do not want to let go. Though I have little love for Berryz as a whole, Chinami is the one member I have enjoyed and liked the most, at least consistently; along with Maasa and Yurina, she is a member that I cherish and think greatly of, and not just because she's cute - Chinami is funny, her smile feels authentic, and her eyes light up when she performs. Also, I actually like her personality. Go figure, Chiima likes Berryz member for their personality. Surprise! In all seriousness though, Chinami is a winner for me mostly because of her smile and charming personality; she's a pretty funny girl, but it's how she adapts that personality onto camera that fascinates me the most. Of all the members of Berryz, Chinami is one of the rare few who looks like she genuinely adores performing in the MV's, and someone who manages to bring forth her shining character without seeming fake. She charms you, with both her smile and her actions, and she brings you into the video. She is truly a doll, and someone who has great camera presence, even if she isn't always in the front, and I really do love that about her. Even during the harder times for Berryz, when most of the girls looked bored and less invested than usual, Chinami was one of those members that shined the most because of her vibrant nature. This allowed her to stand out to me, to see that she truly was someone who enjoyed performing and being a part of the group and industry, and not just playing along because it was simply her job. She really made me believe that she loved what she was doing, and that was enjoyable for me. There is nothing better than seeing an Idol who is happy and invested, and that was Chinami all over. She wasn't acting 'cool' or 'emotionless', but herself. She never put up a facade, and she never let the bad days of Berryz get to her. I think that, during those days especially, this was when I really started to adore Chinami, because when everyone else bored me to death, Chinami was thats hining light with a beaming smile to keep the darkness at bay. The Light of Berryz, that's what she was. She's fun and cute, so why wouldn't I like her!? The shallow part of me also loves Chinami because of how beautiful she is, and of course, because of her legs - of all the members, aside from Yurina, I think Chinami has the nicest legs, and yeah, I look at them. How could I not!? She's a babe, and as of late I feel like she's become sexier as opposed to cute... it's a strange transition, but I suppose that's womanhood, for ya. 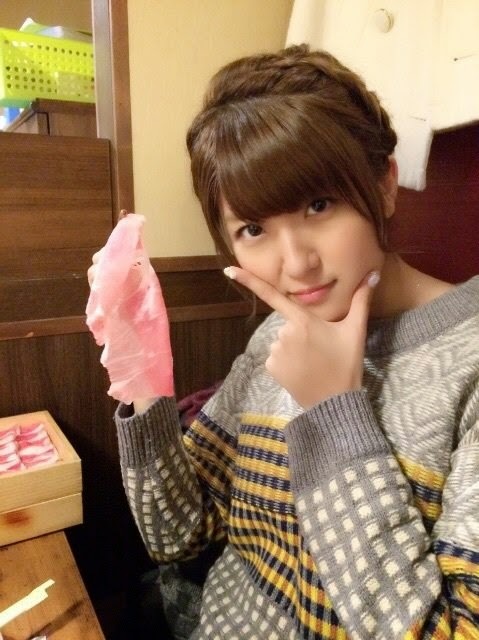 Chinami is becoming a woman, and there is nothing we can do about it, other than celebrate! She is gorgeous, though, and someone who captured me by her smile and antics, and how she seems to just light up when performing with Berryz. Truly, she is a force to be reckoned with, and someone who kept me even a little interested in the group. 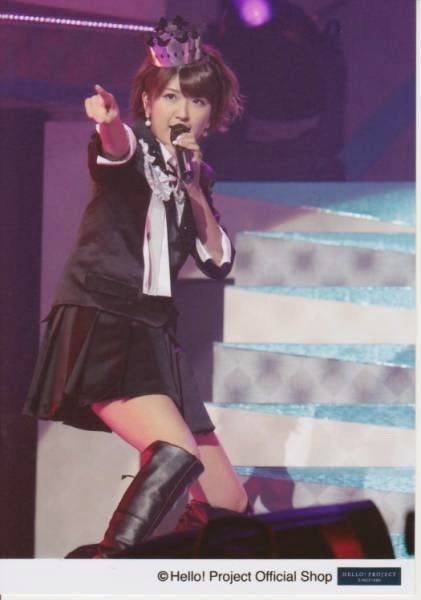 Sure, she's not the best of singers, but as a performer, she is pretty great - she pulls you in, and she keeps you entertained, which is exactly what an entertainer is supposed to do, and Tokunaga Chinami is a prime entertainer, if you ask me. Like a Clown, she is there to please and entertain. She just-so happens to be cuter than a clown, and a lot less scary! Tokunaga Chinami is fun, bright and the sunshine to the downpour that was Berryz in their final years, and though she won't be performing any time soon again, I am happy to know that she will be working between the staff and members, and teaching the new generation of Hello! Project members what it is like to be an Idol. There is no one better for the job, if you ask me, and I do hope that Chinami, alongside Captain, will help to revitalize and make Hello! Project a better place, and to try and bring in fresh ideas. She has experience, and it is this experience that she will pass on with her new role, and I don't think that they could have chosen anyone better to do it. Though her smile will be hidden behind the scenes from here on out, we can still remember how wonderful and cheerful Chinami was in videos. I won't forget her, nor will I forget the fact that, to me, she was the light at the end of the tunnel, a ray of hope amongst clouds of gray when Berryz were at their worst. Despite the fact that she wasn't a front member, Chinami will, forever and beyond, be at the front of my heart... at least, when it comes to Berryz, that is. Though Hello! Project will lose a shining Idol, they will gain a new tea member who knows exactly what she is doing. I just hope that, one day, we will get to see her wonderful smile on the screen once again, and become engulfed by all that is Chinami! She is my Happy, and I love her! 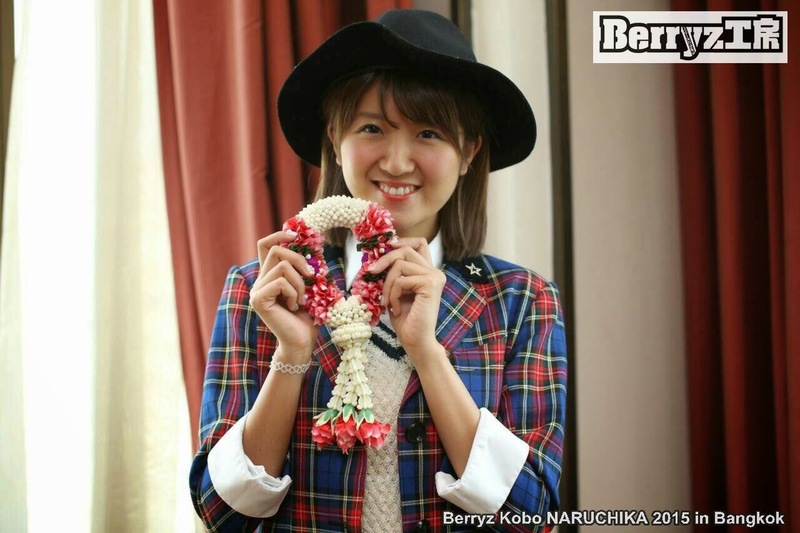 Chinami, thank you for being in Berryz! Thank you for being their light! I will miss your smile the most!